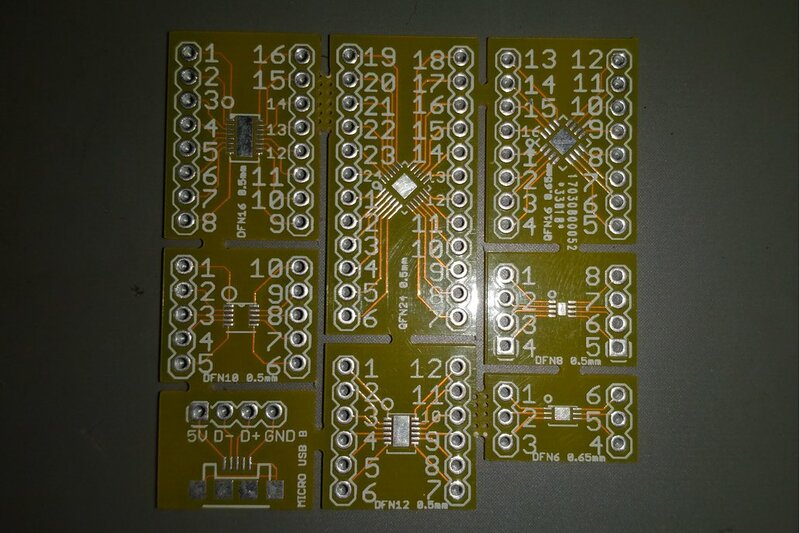 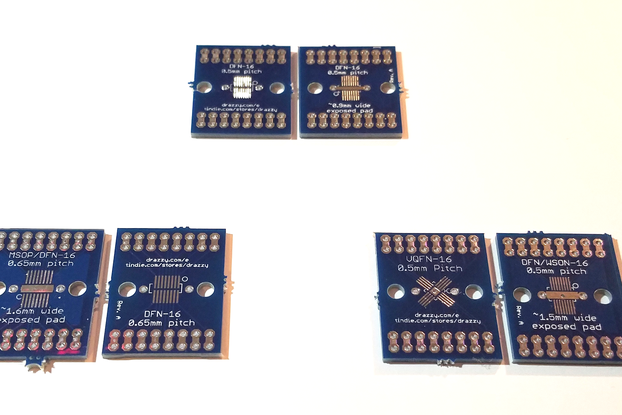 DFN & QFN PCB breakout boards. 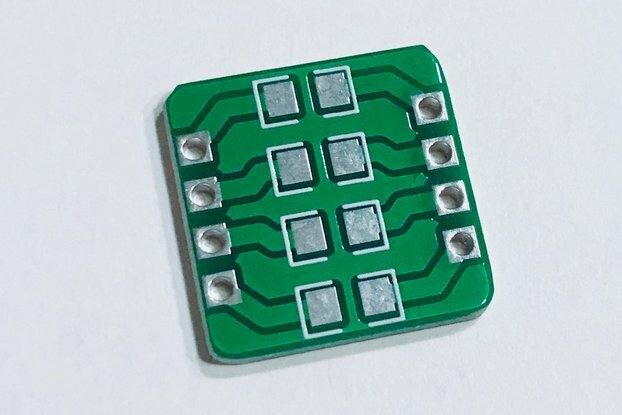 Useful for prototyping extemely fine pine pitch QFN & DFN components on normal breadboards. 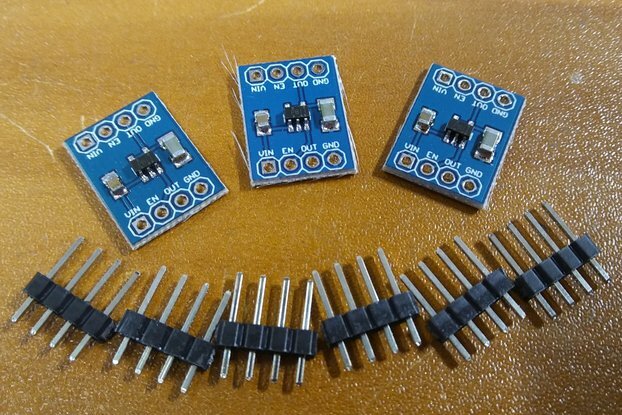 I did not originally design these breakout boards, however i have found them to be a great set of unusual and hard to find boards. 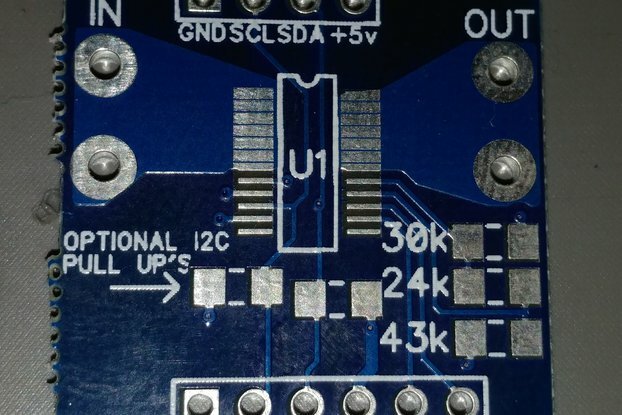 I've been unable to find any details of the original designer to credit them. 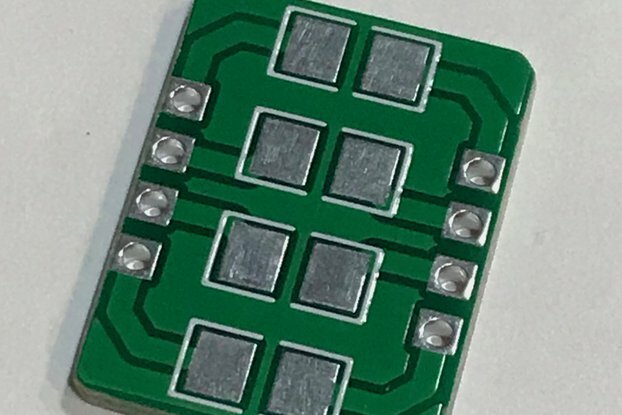 Extremely fine pin pitch QFN & the less common DFN.